At the 2018 Annual Meeting of the Society for Neuroscience, Bruker announced the release of the Luxendo MuVi SPIM CS light-sheet fluorescence microscope for imaging optically cleared samples. The MuVi SPIM technology allows fast, long-term imaging of large samples with highest resolution and optical sectioning, as well as minimized photodamage. By means of physicochemical clearing techniques, the optical properties of usually opaque samples are modified to render them transparent, while keeping their structure intact. 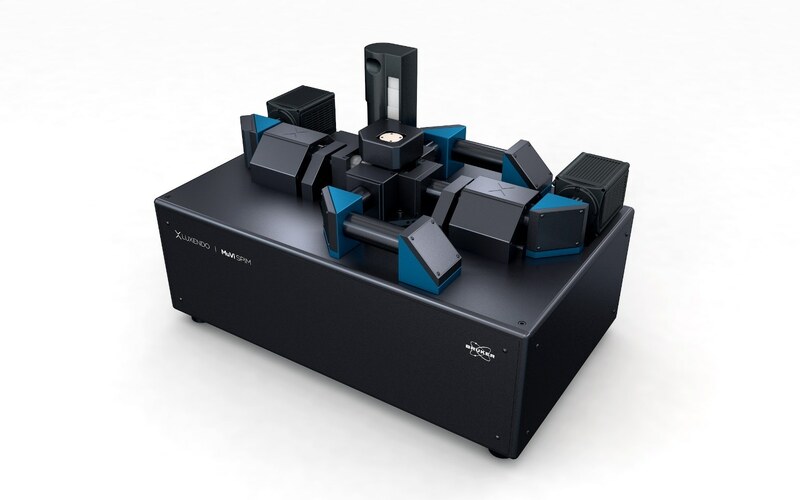 The Luxendo MuVi SPIM CS brings together the best of light-sheet fluorescence microscopy and tissue-clearing techniques, and provides new solutions in sample mounting, sample size, and optics to enable best-in-class, high-quality 3D imaging of cleared samples.